There are a number of characteristics which are the basic factors in differentiating one type of belt from another. For example, if the traction on a conveying system is an issue, it is better to select a deep slotted V-belt. Similarly, sizes play a key role in determining belt configuration. The belt must be wide enough and strong enough to handle heavy load. There are uniquely shaped belts for specialty uses like food processing. Some belts have raised stoppers or blockaded sections which are used to easily sort and package the food. Choosing the proper belt is an important part of using these systems, depending on various uses. General-purpose belting: This is for general conveying or power transmission. Agricultural belting: This is for agricultural applications like silage transfer, farm equipment belts, etc. Retail belts: They used used in checkout counters or inventory transfer for various commercial purposes. 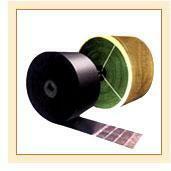 Construction belting: They are used for materials such as roofing shingles or plywood. They are heavy-duty belts designed for use on construction equipment. Elevator conveyor belts: These kind of belts are typically used in vertical applications where there are additional safety factors for bucket attachments as well as holes for meshing with drive and tracking components. Food and beverage processing belts: They are designed to be used in food or beverage processing applications. Forest conveyor belts: These are designed for use in the logging, sawmill, tree farm, and related industries. Mining and quarrying belts: They are heavy-duty belts used for applications in mines and quarries. They can transport materials such as ore, stone, tailings, gravel, aggregate, etc. High temperature belting: They are used for materials that can safely tolerate extreme temperatures. They can transfer high temperature materials. Inclined conveyor belts: They are typically designed for use in conveyance of material up an incline or down an incline. Manufacturing and fabrication belting: They are used in factory production lines. They include belts designed for specific fabrication applications like semiconductor chip manufacturing. Belting for packaging operations: These belts are abrasion resistant for use with cardboard, package paper, etc. Power transmission belting: They are used in power transmission applications like engine belts, belting for power takeoffs, industrial machinery etc. Belting is used in the pulp and paper industry to transfer pulp, paper or paper products. Custom conveyor belts: They can be designed for special applications. You should know about the belt's necessary strength to handle the tension requirements. Determine the minimum number of plies or carcass gauge which can ensure that the belt offers sufficient load-support characteristics. The conveyor belt should also offer necessary troughability characteristics which will help in making good contact with the center idler roll in light loading and empty conditions. Try to select a belt who has the impact resistance to handle the load as it falls onto the belt. Select a belt which has enough flexlife capabilities to effectively operate around the terminal pulleys. Determine the proper covers of conveyor belts to handle the material and loading conditions of a given system.